My husband and I started coming here a couple months ago! The teachers and staff are great. Very welcoming and friendly. The Shala is very clean. There are many different teachers but all are very helpful and it's obvious they know their yoga! We will definitely keep coming. Wonderful large heated room and an open and welcoming environment. Also offer a nice discount for military and students. The veteran's yoga class I attended was both relaxing and spiritually recharging. The stretching and breathing exercises are the perfect end to a hectic week for me as well as a perfect way to welcome the upcoming week. You definitely have to check out this location. 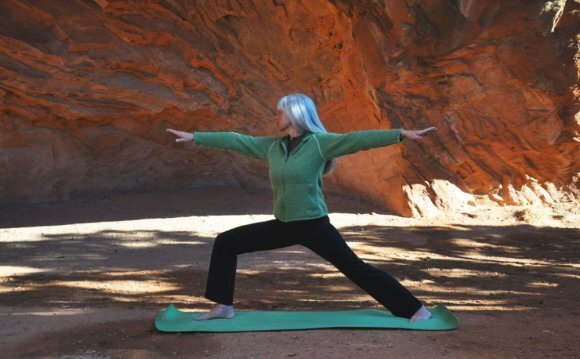 The yoga instructors are well trained and accommodating for all levels of yoga. While visiting CT from NY this weekend my wife and I took two classes at Mystic yoga shala, one led by Sue MacClain and the other by Annie Chapman. Each of the teachers were top notch, giving great but gentle correction while leading a very fulfilling class. The studio is serene, spacious and clean. We cannot wait to return and highly recommend Mystic yoga shala for yogis of all levels and practices. I love Mystic Yoga Shala! I am new to yoga, and I have attended about ten of the Basic Foundation classes. I plan to branch out and try other classes soon. The instructors are incredibly helpful and welcoming, and the studio is beautiful. I would attend yoga every day at the Shala if I could. I've lived all over and have been practicing yoga for over 16 years, from Maui to the Caribbean and the instructors at the Mystic Yoga Shala are amongst the most progressive and professional. They pay attention to the details of a holistic yoga practice, being consistent and humble as they have grown from a small studio practice to a large multifaceted wellness company. I always feel welcome when I arrive and balanced when I leave. I love this place!